A childhood spent in a family run funeral home would be daunting under the best of circumstances. One spent in a funeral home with a closeted gay father who was a perfectionist and a bitter mother who regretted the choices she made and the life she was living must have been a living hell. 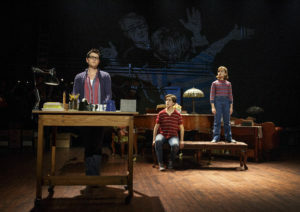 Yet cartoonist Alison Bechdel found some humor and joy in telling the story of her coming out as a lesbian and her father’s suicide in her 2006 graphic novel Fun Home. In 2013 Jeanine Tesori (music) and Lisa Kron (book & lyrics) created a musical version which would eventually win the Tony Award as Best Musical. 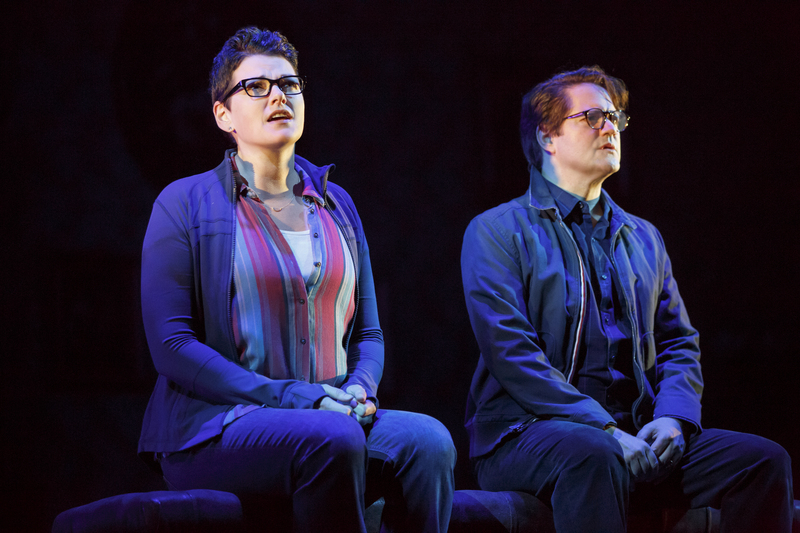 The National Tour of the musical is currently at the Ahmanson Theatre through April 1 and should be required viewing for everyone. Don’t miss this dark, unusual yet life-affirming musical. The grown up Alison (Kate Shindle) is looking back on her life, trying to better understand the events that led to her father Bruce’s (Robert Petkoff) suicide which he accomplished by stepping in front of a truck on a busy highway. At the time, Medium Alison (Abby Corrigan) was 19, in college and newly reveling in her status as an out lesbian. (Corrigan’s utter joy in her morning after ode to her first lover Joan (Karen Eilbacher), “Changing My Major,” is a comic highlight.) Small Alison (Alessandra Baldacchino) was always a rebel, in constant conflict with her schoolteacher/funeral director father, wanting to wear boys’ shirts instead of dresses, drawing a map her way and ignoring composition. 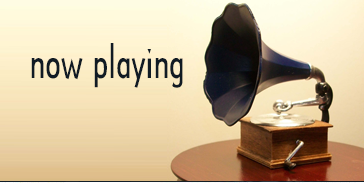 Yet she and her brothers (Pierson Salvador and Lennon Nate Hammond) did find ways to amuse themselves—hiding in coffins, pretending to make commercials for the funeral home or Fun Home as they dubbed it. Their father was demanding and their mother was distant, yet life went on. 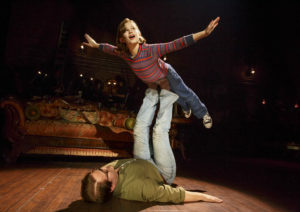 And on occasion, Alison and her father, often in playing airplane, would achieve a perfect balance. Sam Gold’s direction is sure and subtle, giving each moment its proper due. 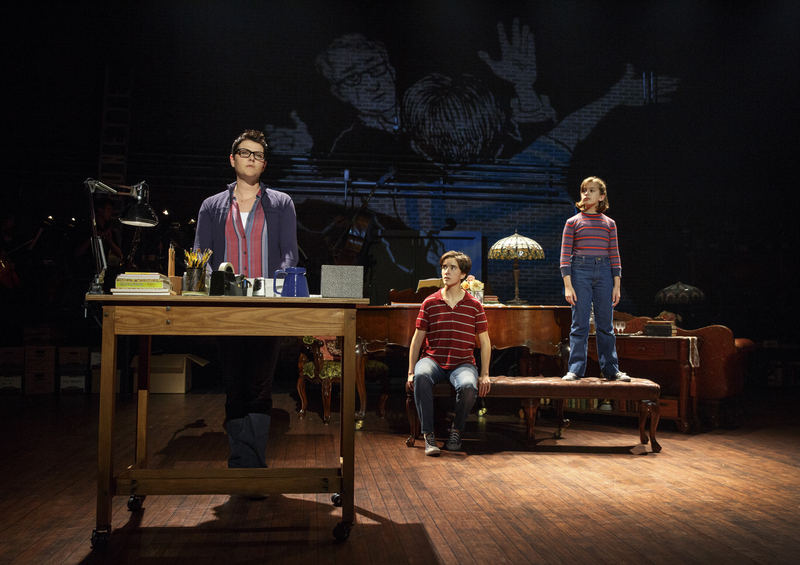 David Zinn’s scenic design is a marvel as the set keeps opening up to reveal new secrets of the fun home. Ahmanson Theatre, 135 N. Grand Ave. in Los Angeles. Ends April 1. www.centertheatregroup.org or 213-972-4400.